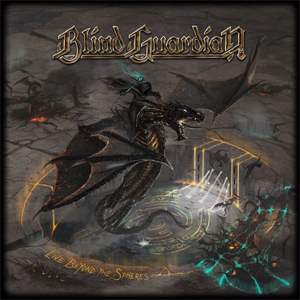 The "Twilight Of The Gods" gleams at the horizon and Germany-based progressive power metallers BLIND GUARDIAN release another great classic off their first live record in 14 years! The magical Live Beyond The Spheres, a package filled with 22 songs and available as a 3CD-DIGI will be released on July 7th and guides the fans not only through BLIND GUARDIAN's all-time classics such as "The Bard's Song (In The Forest)" or "Mirror Mirror", but also presents rarely performed songs like "And Then There Was Silence". Today, the band unveils a live video to their mighty "Twilight Of The Gods" and you can watch it now on KNAC.COM HERE.